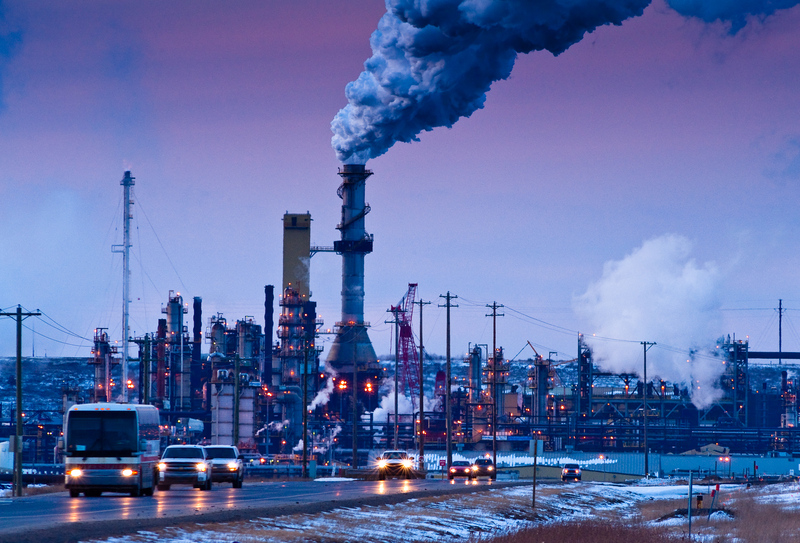 Industrial landscape: Canada's Tar Sands: Highway to Hell. Series: The True Cost of Oil. Highway to Hell. Series: The True Cost of Oil. Dubbed by most locals as Hell’s Highway or the Highway of Death, Highway 63 leads directly to the heart of the Alberta Tar Sands and through the center of one of Syncrude’s operations. During shift changes, choked full of exhausted oil workers driving at breakneck speed to get home further south, and contending with massive transport trucks and machinery, the highway is particularly dangerous. Virtually every week, an automobile accident on the highway kills or maims another worker.